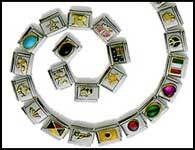 We offer the Best Charms from the Best Charm Companies! We have closed our online store!. We stll have a good charm supply at our real world store in Pismo Beach, CA.